Chester Growth Partnership along with key partners will deliver a programme of improvements in Chester as part of the One City Plan, the 15 year strategy which guides the future economic regeneration of Chester. The aim of the plan is to create a reinvigorated city centre, making it a distinctive and desirable place in which to live, invest, do business, visit and study. The Chester Growth Partnership Board oversee the progress of One City Plan projects to ensure opportunities for economic growth are maximised for Chester and the wider sub region. 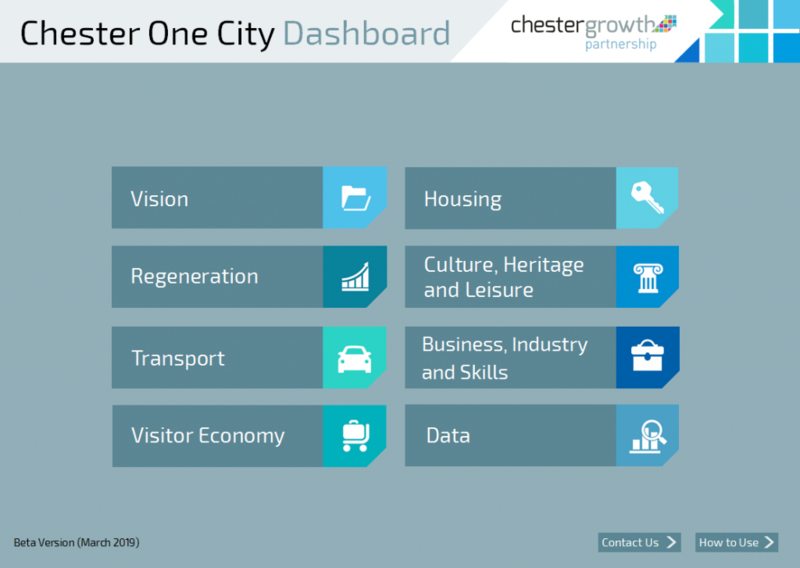 Click here to view the beta version of the interactive Chester Dashboard.